23 Jul Post by Salon Buzz Filed under Uncategorized. Couture shows were very ethereal this July. Runway models donned curls, braided buns, and gold accessories. The couture houses took a page out of our favorite Game of Thrones episodes with hairstyles that rival the best of Khaleesi and Cersei (pre haircut of course). Don’t worry though, these understated, elegant hairstyles are not as complicated as they look! Fendi celebrated its 90th anniversary as a couture house and its 50th year with Karl Lagerfeld this summer with a very celestial couture show. Walking over an ancient fountain covered in glass, each model’s hair was tightly curled and then tied into a half ponytail with a large bow. 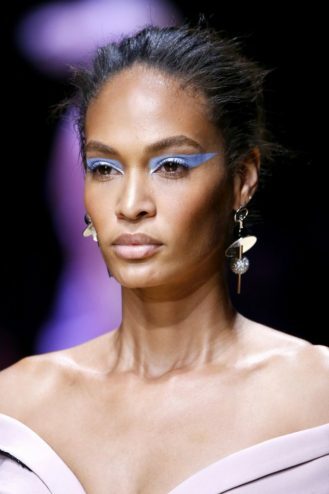 This look will be a favorite for our curly haired ladies. Since curly hair tends to be drier, remember to keep your hair hydrated to avoid breakage. Then take the hair around the crown of your head and tie it into a half pony with an oversized bow. Topknots were king at the Jean Paul Gaultier and Versace couture shows. 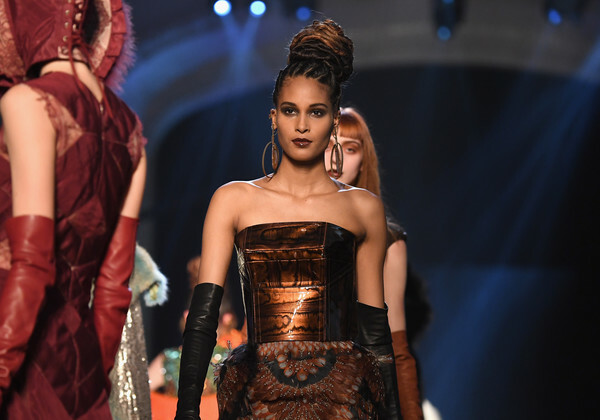 Jean Paul Gaultier used braids and twists to add an elegant touch to this easy summer go-to, and his forest inspired collection, full of earthy natural tones, was the perfect companion for a twisted, knotted bun. 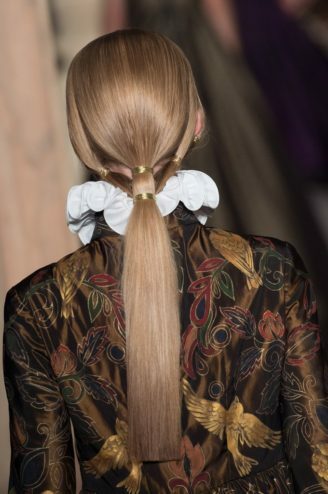 Versace followed Gaultier’s lead with a more casual bun. With her collection Focused on draping fabrics and the understated beauty of the female form, Donatella paired her designs with a frizzy topknot. To achieve this look, add some texture spray, throw your hair into a tight bun, pull out some flyaways and you’re good to go!